My two sons are still in high school, so summertime in my household equates to a nice change of pace from our typical busy routines. I love summertime for the additional family getaways and get-togethers it often brings. Those sunny days signal more time for my family and I to enjoy leisurely dinners on our patio several times a week; a confession that seems almost funny to admit considering that I live in Southern California, a place that is conducive to outdoor dinners all year long. Regardless, I still love summertime! A few special foods always end up on my summer eating regime: avocados, berries, cherries, stone fruits, summer squashes, and of course, tomatoes. I’ve spoken numerous times on the benefits of processed tomato products, including canned tomatoes, salsa, tomato paste, and tomato sauce, for the role they play in skin protection, heart health, and reduced overall inflammation. But there’s a new reason to celebrate this juicy fruit. According to The Journal of Nutrition, tomato sauce and avocados are really wonderful partners. The researchers found that when the study participants ate tomato sauce with the addition of avocado, they significantly enhanced their absorption of vitamin A. From a culinary perspective, we’ve known for a long time that tomatoes and avocados go together like peas and carrots, but now there’s a whole new reason to celebrate this dynamic duo. 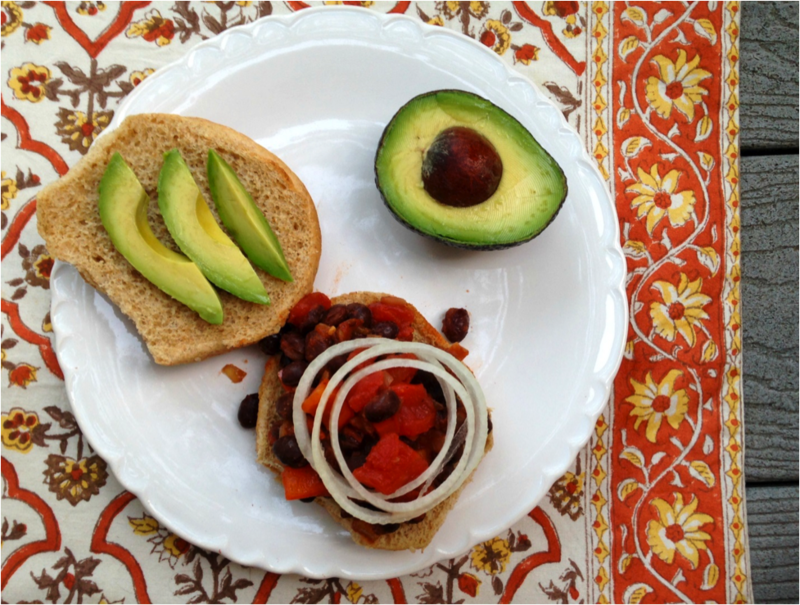 While my recipe below for Vegetarian Sloppy Joes is already packed with a healthy dose of fiber, vitamins, minerals, lycopene, and plant-based protein, you can do your body even more good by topping this delicious meal with freshly sliced avocado. This healthier, plant-based version of Sloppy Joes is something you and your whole family can feel good about eating any night of the week. In this recipe, I use black beans as my protein of choice to replace ground beef or turkey. Black beans are packed with not only 10% of your daily protein needs per serving, they contain other beneficial nutrients like fiber, vitamins, minerals, healthy fat, and phytochemicals. And to top it all off, they contain little of the “bad stuff,” like saturated fat, sodium and cholesterol. And the tomatoes in this recipe gives you a lycopene antioxidant boost! Heat olive oil in a large pan over medium heat. Add the onion, garlic and red bell pepper. Sauté until onions are golden brown, about 5-7 minutes. Add the black beans and spices to the mixture. Stir. Stir in the tomatoes, maple syrup (or honey) and vinegar to the mixture. Simmer about 15 to 20 minutes. Remove mixture from heat and allow to cool for a few minutes. 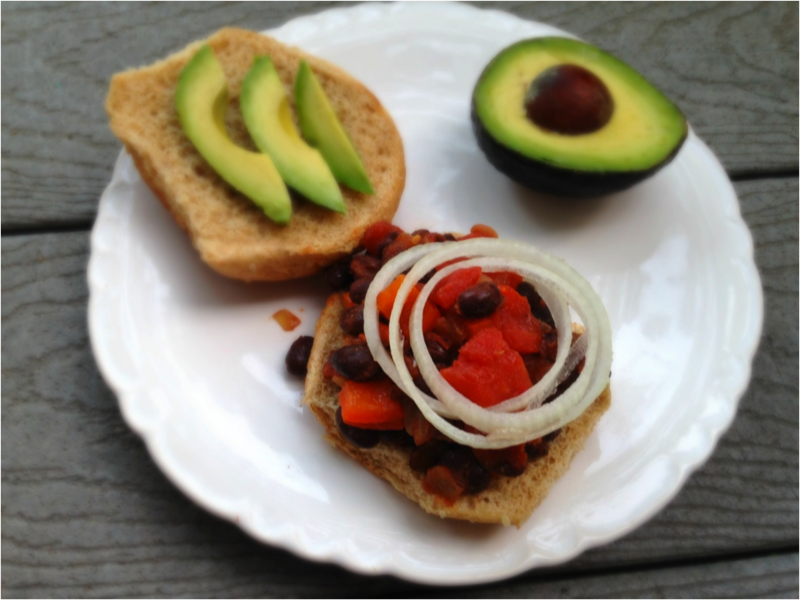 Serve the vegan sloppy Joe mixture on whole wheat buns and top with your toppings of your choice! 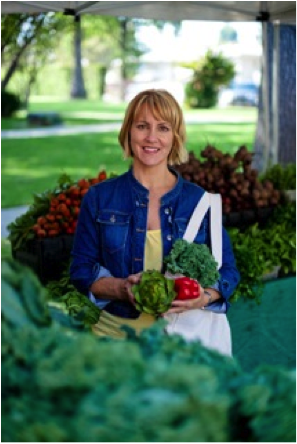 Sharon Palmer, The Plant-Powered Dietitian™ is a writer and author of The Plant-Powered Diet. Over 850 of her articles have been published in national publications, including Prevention, Better Homes and Gardens and Today’s Dietitian. She is also the editor of the award-winning publication Environmental Nutrition and writes for her blog, The Plant-Powered Blog. Her specific expertise is in plant-based nutrition, including Mediterranean, vegetarian and vegan diets. Her second book, Plant-Powered For Life: Eat Your Way to Lasting Health with 52 Simple Steps and 125 Delicious Recipes is available for purchase now.